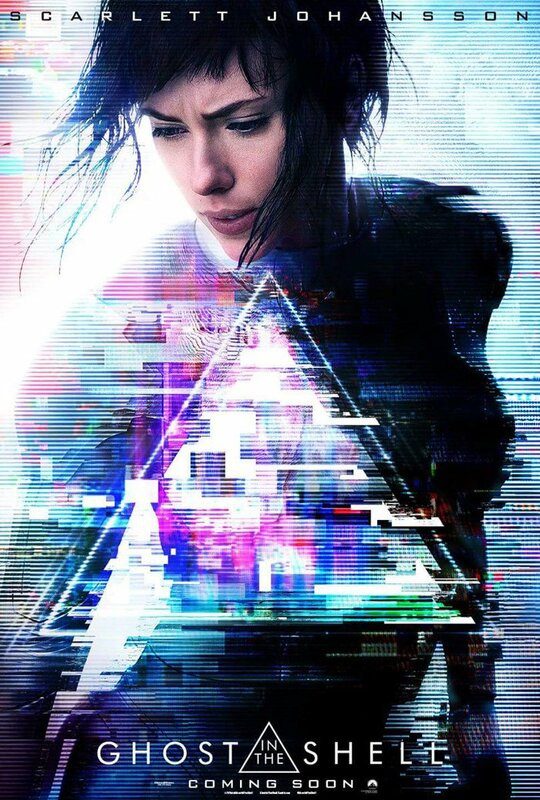 In the near future Major Mira Killian (Scarlet Johansson) is the first of her kind; a human brain inside the perfectly made machine body means she’s cyber-enhanced to be a perfect soldier. When a terrorist known only as Kuze (Michael Pitt) begins to kill important figures in a huge corporate business, Major faces her biggest challenge yet. Ghost in the Shell is based off a popular manga, which in turn was made into an even more popular anime in the 1990s. I have not seen or read the original source material and I can see this adaptation going one of two ways with the fans of the manga or anime; one, it’s got a tonne of cool references and is very faithful to the source material, or two, it’s not faithful at all and fans don’t like it. As someone who knew nothing about Ghost in the Shell going into the film, I found it to be intriguing on the surface but lacking any real depth or emotional connection. It also felt like the film had a lot of information and world-building to give to the audience which then made it surprisingly slow-paced for a film with so many shoot outs. The world of Ghost in the Shell is visually stunning one with the high-rise buildings, ginormous and colourful holograms, and futuristic technology. It’s a world where cyber-enhancements are the norm, whether that means you get new eyes, a robotic liver, or new limbs – if you don’t have some form of technology implanted in your body, you’d be the odd one out. With a character like Major, who is so different from humans, even with their technological enhancements, and robots, she doesn’t seem to fit in anywhere. 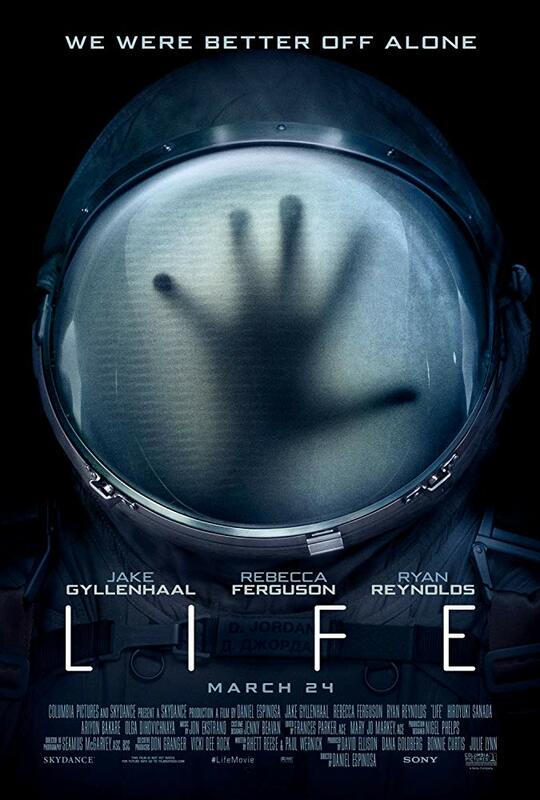 Like the setting, the dilemma of the line between human and artificial intelligence is an interesting one but the film never delivers on its promise to examine that. There’s a lot of cool action sequences, shoot outs and fights but they all pad out a plot that’s pretty boring. You do not spend enough time with the victims to care about them, nor do you get enough information about the corporate entity they are a part of to see why or how their deaths are important. Neither the mystery nor the overarching plot is interesting meaning the action sequences are just there to look good and rarely add anything to the characters or their motivations. Ghost in the Shell seems to be trying to be two things. The first is a character study of Major and the world she’s apart of and the second is an action mystery story with bad guys to find and take down. The film gives neither of these elements time to breathe meaning that Major is (excuse the reference) a shell of a character, and the detective side of the story isn’t interesting. The third act is rushed as a lot of things are revealed and then new foes are brought to the forefront, however as there’s been no time dedicated to foster proper emotional connections with the characters, you do not care about what they are going through. Ghost in the Shell has lots of cool visuals but the one-dimensional characters and a lack of a compelling story, means the finished product is ultimately forgettable. 2/5. On the run in the year of 1987, Bumblebee finds refuge in a small Californian beach town. 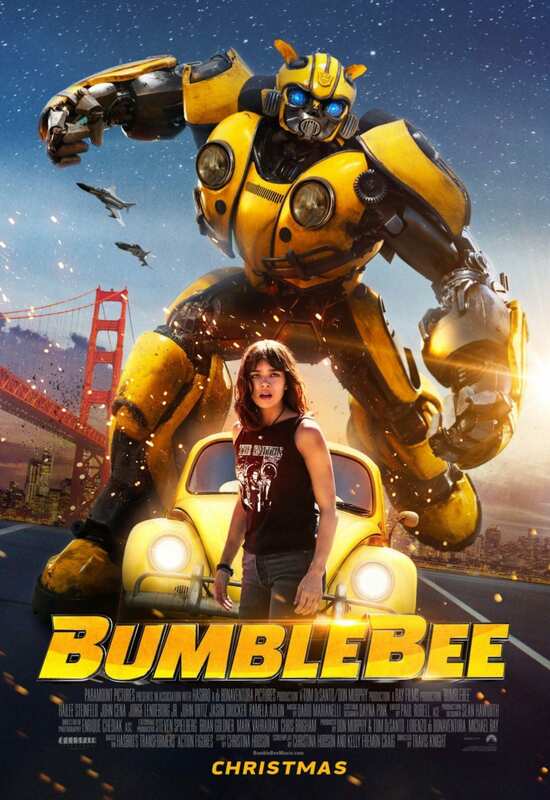 Charlie (Hailee Steinfeld), on the cusp of turning 18 and trying to find her place in the world, discovers Bumblebee, and tries to keep him out of the hands of the US military. I’ll be honest, the first Michael Bay Transformers film is one of my go to comfort films and I really enjoy it. The rest of the films in the series are varying degrees of quality to say the least and I was very apathetic about The Last Knight. But I’m happy to say Bumblebee is like a breath of fresh air compared to the latter Bay films. Bumblebee’s plot is so much simpler compared to some of its predecessors, and that allows the story to build on the characters and their relationships naturally. There are two Decepticons (voiced by Angela Bassett and Justin Theroux) searching for Bumblebee who enlist the US military to help them search for them. The main guy in the army you follow is Agent Burns (John Cena), he’s very much a shoot first, ask questions later kind of guy but weirdly, probably due to Cena’s charisma, the way he delivers jokes is more entertaining and almost more believable than the tough guy persona. Hailee Steinfeld is wonderful as Charlie. She’s a bit of a loner and she’s even an outsider in her own family as she doesn’t feel like she fits in any more. Charlie is smart and caring and her relationship with Bumblebee is wonderful. Bumblebee is charming and does a brilliant job of combining heart with spectacle. Like the previous Transformers films, there’s still battles between Autobots and Decepticons but this time the characters on both sides are seriously stripped back leaving those who are present more room to grow. When there are fights between robots, they’re easy to follow and entertaining. It’s perhaps a bit on the nose with the 80’s inspired soundtrack, but that doesn’t make it any less enjoyable. The music is like a comforting hug and that, along with a story about a kid and an otherworldly creature, makes Bumblebee feel familiar and heart-warming. There are similarities to be made between Bumblebee and E.T. and The Iron Giant, both in terms of the plot but also because at its core is a wonderful friendship between a young person and a powerful creature. Bumblebee is such a fun and lovely film, with so much heart and humour, that it feels almost old-fashioned in the best possible way. 4/5. One summer’s day in 1984, teenage runaway Holly Sykes encounters a strange woman who offers a small kindness in exchange for ‘asylum’. Decades will pass before Holly understands what sort of asylum the woman was seeking…. The Bone Clocks had been sitting on my shelves for four years. I’d read, and enjoyed, Cloud Atlas by David Mitchell but from that I knew his stories could be fantastical and epic and I was never really in the mood for the concentration I’d need to have to read a story like that. In the end, I got the audiobook from my library and that got finally got me to read this story. The audiobook I listened to was narrated by Jessica Ball, Leon Williams, Colin Mace, Steven Crossley, Laurel Lefkow and Anna Bentinck, and I thought they all did a fantastic job at bringing the many characters to life. The Bone Clocks is so much more than its two-sentence blurb suggests, but at the same time, I have no idea of how to give this story a concise and somewhat spoiler-free summary. The Bone Clocks is a story that spans decades, and while the story might not always be told from her point of view, Holly Sykes is always connected to the characters you’re introduced to in some way. It’s equal parts confusing and fun, especially in the first half of the book, seeing how this character you are now following is connected to Holly and how their relationship with her will unfold. While Holly is the central character that a lot of the big events and decisions revolve around, the other characters each have their own story and personality that’s usually just as engaging as Holly’s. Holly Sykes is a character that grew on me. She’s young and naïve when you first meet her, and somewhat unlikeable too but seeing how her experiences, good, bad and unexplainable, affect her life, she becomes more sympathetic and mature. She suffers a trauma at a young age and doesn’t know how her life will be affected by granting the strange old lady, Esther Little, asylum. She becomes entangled in something much bigger than herself, and it take a while for everything to become clearer, and even then, there’s some events and characters that almost can’t be explained. The other characters are fully-formed with some being unlikeable while others are almost undefinable. Ed Brubeck was probably my favourite character as he felt the most realistic and relatable to me. The Bones Clocks is well-written with some beautiful passages and engaging characters. It is weird and fantastical, but at its core there’s Holly Sykes and her very human life. There’s so much going on in The Bone Clocks, it’s hard to give it a definitive genre. There is magic, secret wars, family drama, death, and souls play a major role too. 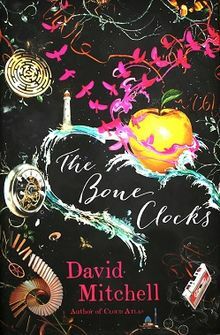 The Bone Clocks is an epic story, but it is an odd and sometimes confusing one too. You spend so much of the novel, not know what’s really happening or how everything is connected, that when things are explained, there is a lot of exposition. Still, I did enjoy the audiobook and I think consuming the story that way helped me take it in and become more enthralled by it than if I was reading a physical copy. 3/5. Set in the near future, parents genetical modifying their unborn children to be the best they can be is the norm. Vincent (Ethan Hawke) is an in-valid, someone who was conceived naturally and because his genetic make-up wasn’t modified is seen as inferior. In order to follow his dreams, Vincent assumes the identity of genetically superior Eugene (Jude Law) but soon the authorities are closing in and Vincent’s secret is under threat of being exposed. One of the best things about Gattaca is its world-building. 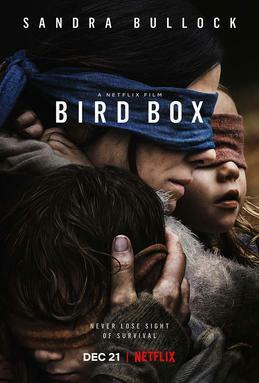 In many ways it’s quite a small film, it has only two main locations, three main characters and a very self-contained and character driven plot. But the way this idea that genetically modification has become the norm and anything else is seen as wrong and worthless, is interwoven so well in the characters actions, the story, and little every day life details in the set design, makes this future seem so realistic. Through the costumes, the buildings, and the way characters interact, the world of Gattaca seems like a very uniform and sterile place. Because of the environment they’re in, when Vincent begins to get close to his co-worker Irene (Uma Thurman) you get a sense on unease. Not only because any relationship between them might expose his secret but because it feels like romance and love doesn’t fit in this world. Vincent is a character who is almost instantly likeable. Eugene, on the other hand, is biting and cold and it’s as his relationship with Vincent evolves from being one where they both need something from one another, to one where they are almost friends, that makes Eugene more sympathetic and likable. Hawke and Law give great performances, bouncing off each other as their characters find their feet around one another. 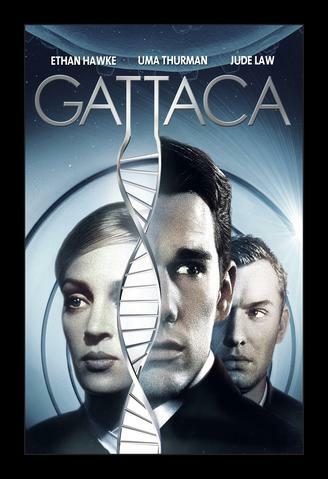 Gattaca combines its sci-fi premise with a tense crime thriller, but at its heart Gattaca is an absorbing drama. It has a world that’s rich with ideas and it’s a film that believes the audience is intelligent enough to follow these characters in a world that’s so different yet it’s a world that you can see coming to pass at some point. 5/5. “Spice” is the most valuable yet rarest element in the universe, it’s a drug that can be used in many different ways, and it can only be found on the inhospitable desert planet of Arrakis. When the Emperor transfers stewardship of Arrakis from the House Harkonnen to House Atreides, the Harkonnens plot to take back the planet, putting Duke Leto and his family in danger. 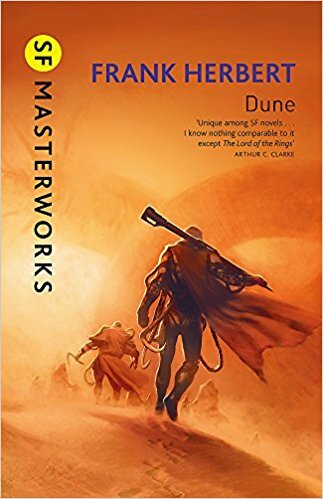 Duke Leto’s fourteen year old son Paul and his mother Lady Jessica, escape into the desert there they meet the Fremen, the native people of Arrakis, and fight to survive and take back what has been taken from them. I listened to the audiobook narrated by Scott Brick, Orlagh Cassidy, Euan Morton, Simon Vance, Ilyana Kadushin. It was a pretty good audiobook though some of the characters voices weren’t always consistent through the story so it was sometimes a little jarring at times. I definitely don’t think I would’ve read the physical book (as it’s so large and intimidating) so listening to it on audio made it more accessible for me. Dune is about so many things, politics, religion, family, technology, and all these things are so well-developed that you end up with a vivid world this space society takes place in. that’s not to say it can’t be a bit confusing or overwhelming at times, it definitely can, but it does pose some interesting multi-layered ideas about politics and religion and how they interact. This interstellar society that’s formed of many important families who control individual planets, though you only really follow the Harkonnens and the Atreides, is fascinating in a way as it’s full of weird contradictions. They have technology like force fields, but they fight with swords and daggers. They have space travel but they also have a belief in magic. It’s an odd combination that makes Dune seem like a historical story sent in a science-fiction world – especially with all the political backstabbing and the royal titles. The descriptions of the planet Arrakis, its people and its creatures (there’s humongous worms with many teeth that roam the sand dunes looking for food) makes this hostile planet Paul and his mother find themselves stranded on a truly unsettling and dangerous place. Paul is a compelling character. He’s had a lot of training in various forms of combat and politics, plus his mother has taught him the ways of persuasion and other skills that seem like magic to many people. He’s smart and capable for a teenager, but he’s pushed to the limit when his life, and the lives of everyone he knows, is threatened. I really liked his relationship with his mother Jessica. Their relationship was constantly shifting, sometimes they were like mother and son, other times they were like equals, and then at other times Paul seemed the more mature and self-assured as he seemed to be able to see possible futures. Throughout the book there’s little experts of books from within the universe this story is set. As the story progresses, I came to realise these exerts were theoretically written after the events that Paul and Jessica were involved in. As they were often a history of Arrakis and its people, they gave you a hint as to whether or not Paul would succeed in his aims and what would become of the characters you’re already following. I’m pleased I’ve read Dune, though it did end somewhat suddenly. A couple of the main plots were completed but there’s still a lot more to explore with this intergalactic political system. I didn’t know before going into Dune that there’s a number of sequels. I don’t think I’ll be reading them though as while I liked the story as I was reading it, I didn’t love the characters and I’m not desperate to know what happens to them next. 3/5.